Shivinder Mohan Singh on Friday accused elder brother, Malvinder Singh, of making a false attempt to cast doubts on his integrity. He denied the allegation, calling it 'fake' and a 'lie'. In the latest turn in the ongoing battle between the Singh brothers, Shivinder Mohan Singh on Friday accused elder brother, Malvinder Singh, of making a false attempt to cast doubts on his integrity. Responding to a video released by Malvinder Singh on Thursday claiming that he was hit by younger brother, Shivinder denied the allegation, calling it 'fake' and a 'lie'. Shivinder Singh confirmed the incident happened on Thursday evening at a board meeting of Prius Real Estate at their Hanuman Road office in central Delhi. "He scuffled me up in office yesterday when I wanted to enter a meeting where he was intimidating and threatening our employees," Shivinder Singh said in his statement. Shivinder also alleged that the elder brother tried to get some female employees to put a harassment case against him. He said he had lodged a police complaint following which Malvinder pretended to have got a fracture. However, he withdrew the complaint after the intervention of the family. "X Ray is normal and the cast is a fake," he said. Earlier during the day, Malvinder Singh had circulated a video on social media, alleging that younger brother Shivinder assaulted him at their office: "Today is December 5th, 2018. Little after 6:00 pm, Shivinder Mohan Singh assaulted me at 55, Hanuman Road. He physically hit me. He hurt me. He injured me (here). He broke this button. He gave me a bruise here. He bruised me here. And he kept threatening me and refused to budge until the team came together and separated him from me", says Malvinder in the video. Following the incident, I went to the police station to lodge complaint, but seeing my condition, the police authorities rushed me to Ram Manohar Lohia hospital, Malvinder mentioned in his statement. "On the intervention of family and in view of Shivinder's apology, I withdrew the police complaint lodged by me," he added. Malvinder Singh also said that contrary press release issued belatedly is a mere attempt to cover up uncouth and unbecoming behaviour. "This simply reinforces the fact that Shivinder is not equipped to handle professional situation but instead is a hindrance in recovering dues owed to the group." 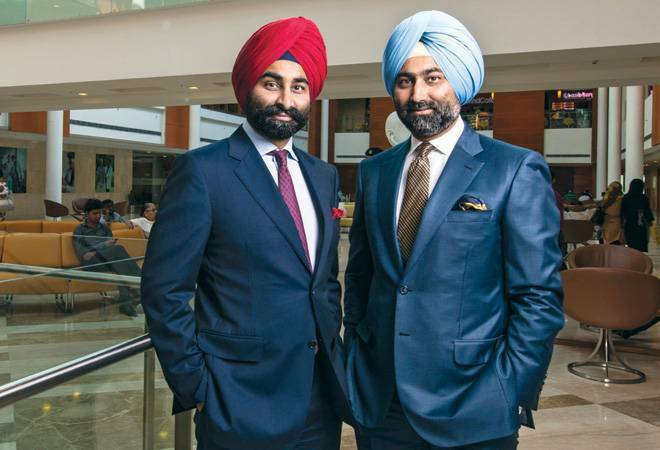 The fight between the brothers, the former promoters and owners of Ranbaxy Laboratories, Fortis Healthcare and Religare, has been brewing ever since the brothers lost Rs 22,500 crore in less than a decade, besides losing control over family firms Fortis Healthcare and Religare Enterprises.